I’m not sure why eggnog is always reserved for Christmas. Eggs are more expensive during the winter here in the Midwest, because chickens want to work in the cold about as much as we do: as little as possible. Fewer local eggs means we have more eggs shipped in, so we’re paying more for old eggs from some chicken 1,000 miles away. Also, eggnog is typically served cold, yet during the winter, we all want hot drinks. Except eggnog. In the words of Rocky, “Figures.” Not Rocky Balboa. Rocky from Paw Patrol. 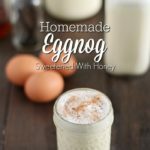 Eggnog is more efficient to make during the summer, what with more affordable and quality eggs, but we still need it around Christmas, so the obvious conclusion is that eggnog should be enjoyed year round. 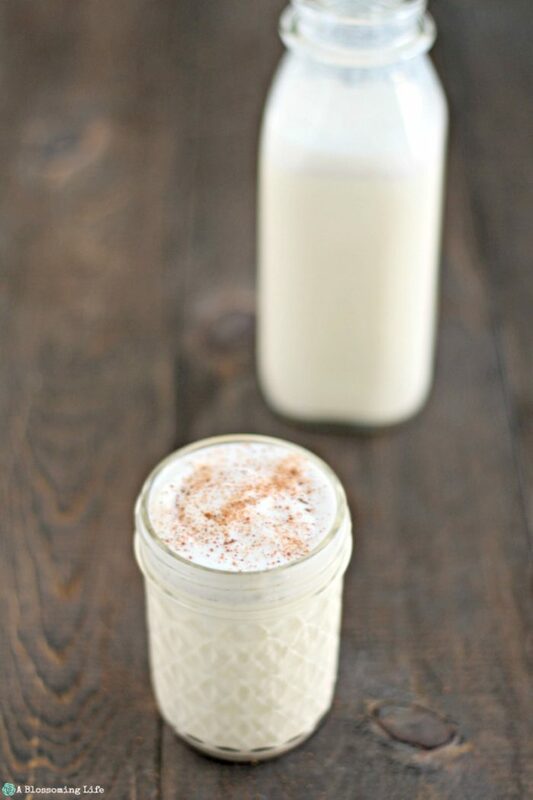 To be real, it’s super cheap to make anytime of year, but let’s make a case for year round eggnog. For that to happen, you’ll need to learn to make it yourself. Stores won’t be stocking eggnog in August. So, Amy came over to make eggnog last week, but we were too busy talking and wrangling children, which resulted in both, both, batches ruining. Curdled egg whites from poor timing, lack of attention, and high heat meant a complete gallon worth of eggnog was enjoyed only by the kitchen sink. I prepared a smaller batch the next morning with far more focus. 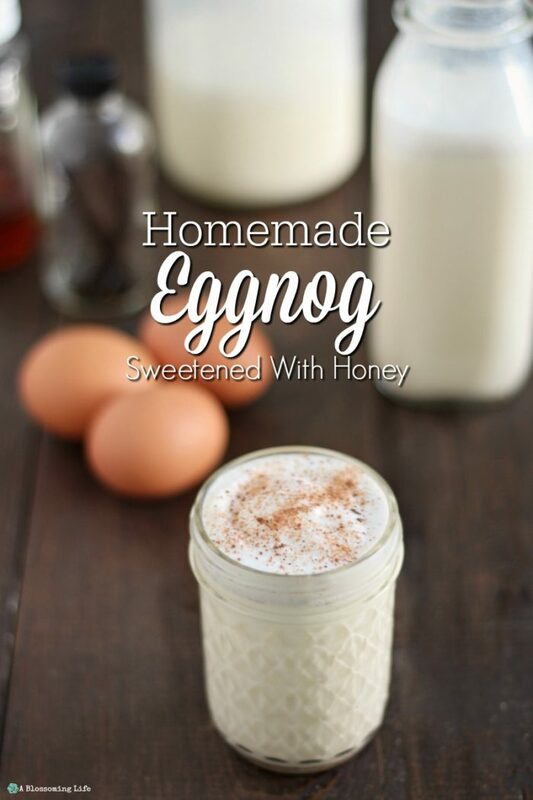 The result was a creamy, delicious eggnog sweetened with honey. I’ve made eggnog before, but I’ve always used sugar. I was really pleased with the substitution of honey this time around, and I couldn’t wait to enjoy it in the coziness of our living room that evening. After running the two jars of eggnog to Amy’s to snap photos for you all, we finished off most of one jar. That’s okay. One more jar for me and the husband to enjoy in the peace and silence after the storm of putting the children to bed. 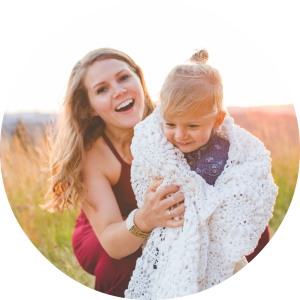 Except, when I was unloading the car that afternoon, attempting to carry absolutely everything inside at one time, that sweet little jar of eggnog slipped quietly and tragically from its precarious position between everything and everything else in my arms. Goodbye, eggnog. Hello, glass shards and sticky, dairy, egg explosion on the garage floor. I didn’t need the calories anyway. Enough about me. I hope you attempt eggnog, even though it’s much easier to buy in the store. It tastes really heavenly when homemade, plus you’re getting a fresh batch, and you’re avoiding the extra ingredients that are prolonging the shelf life of the store eggnog. 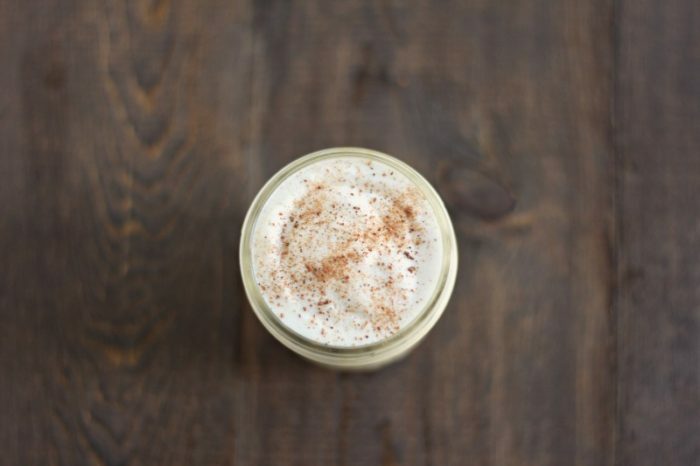 There’s no need for prolonging eggnog’s shelf life at home. Because, if your friends and garage floor don’t drink it all, you certainly will. As a sidenote: if you’re not confident in your source for eggs, I’d recommend buying pasteurized eggs for eggnog. This is simply because the egg whites aren’t fully cooked in the end, which hasn’t ever posed a problem for me, but I could understand the concern if you’re working with weeks-old eggs from Kroger or Wal-Mart or something. On the stove top, warm the 2 cups of half & half, 2 cups of milk, 1/4 cup of honey, and salt. Separate the egg yolks from the egg whites, setting the whites aside. Whisk together the yolks, and temper* them with the warm milk mixture. Using a candy thermometer or a similar tool, monitor the temperature of the yolks and milk until 160 degrees F is reached. Once 160 is achieved, remove from heat and allow to cool. Stir in 1 tsp. vanilla and 1/2 tsp. nutmeg. Whip egg whites until stiff, then gently fold them into the cooled eggnog. Serve warm, or refrigerate until cooled completely. Serve in a beautiful glass, garnished with freshly-grated nutmeg. *To temper the yolks, add a small amount of the milk mixture to the yolks, stirring the yolks constantly. The goal is to gently bring the temperature of the yolks to the temperature of the milk, avoiding cooking the egg into a solid.